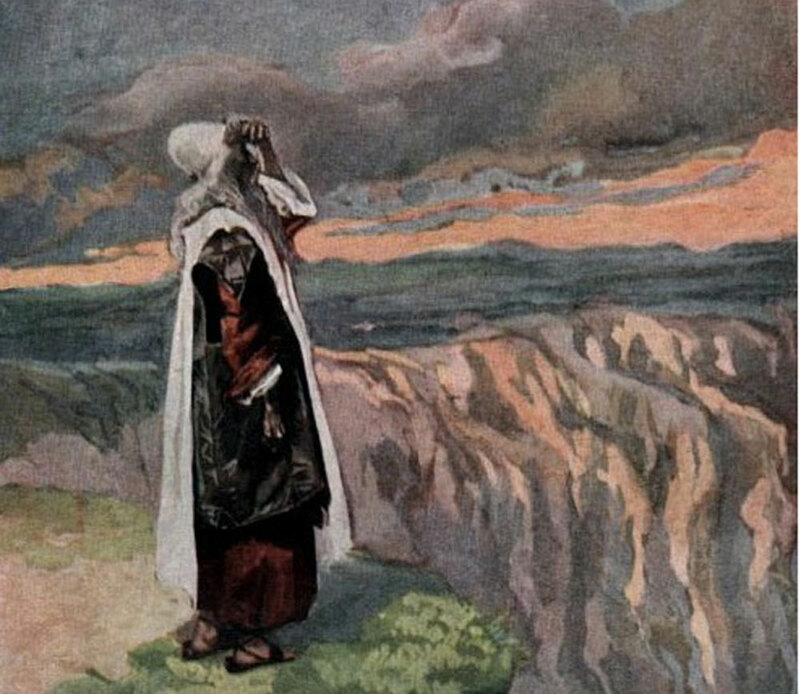 Moses realized his mistake. He accepted it and along with it also, the punishment that God pronounced. He had no complaints. The same punishment was meted out to Aaron as well for being part of the idol and animal worship. He was not going to set foot on the land of Canaan either. It was now time for Aaron to take leave of his near ones. Death was approaching. God summoned to Mount Hor, Aaron, his son Eleazar and Moses. The thought of parting from Aaron, brought a lump in Moses’s throat. After all they had shared joy as much as sorrow and for forty long years! On reaching Mount Hor, God instructed Moses to remove the religious insignia of a prophet and a high priest that Aaron wore. 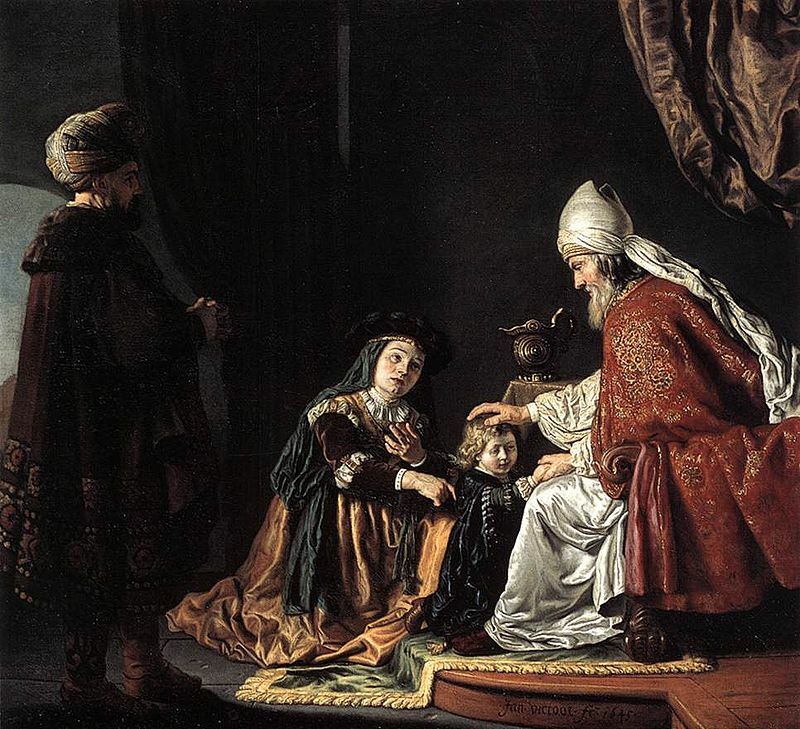 It was his son Eleazar, who would wear them as he was to be the next High Priest of the Jews. 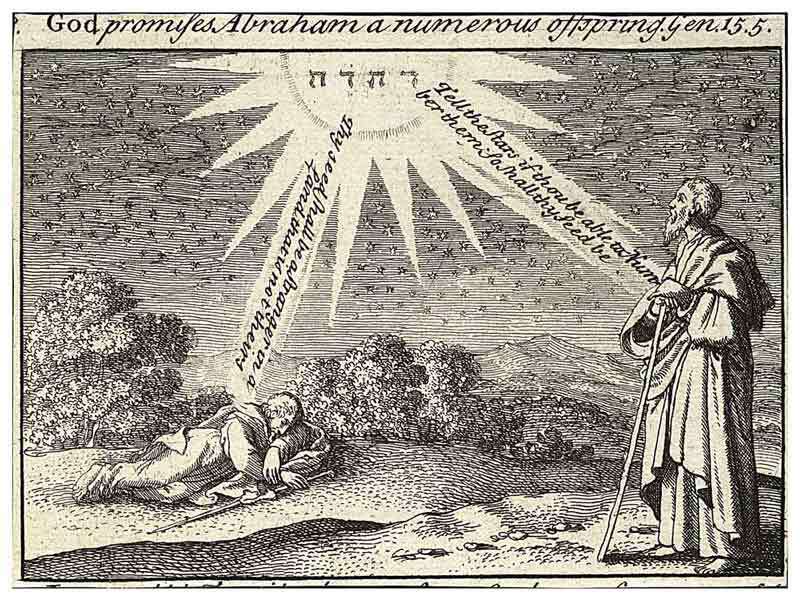 Following this ritual, which, as per God’s command, happened in a cave, God asked Aaron to sleep peacefully. Aaron then breathed his last. God took his soul with Him to heaven, so says the story. He was 123 years old at the time of his death. The going of Aaron left the Jews very sad and they mourned his death for about a month. 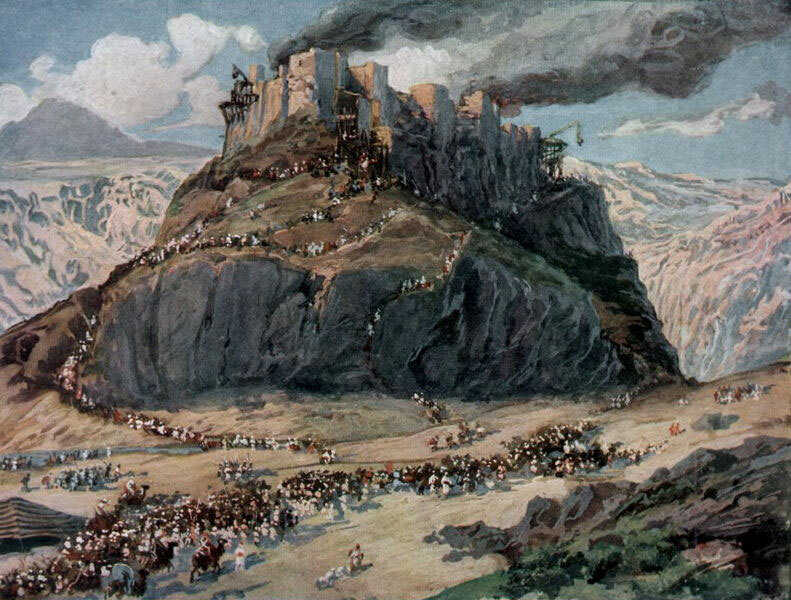 From Mount Hor, the Israelites moved towards the regions of Edom, Ammon and Moab. But the rulers there turned down the requests from the Jews to let them pass peacefully through their territories and prepared their armies for war against them instead. But God did not permit the Jews to go to war against these rulers. As a result, the Jews were now required to take a long detour of these regions in order to reach Canaan. 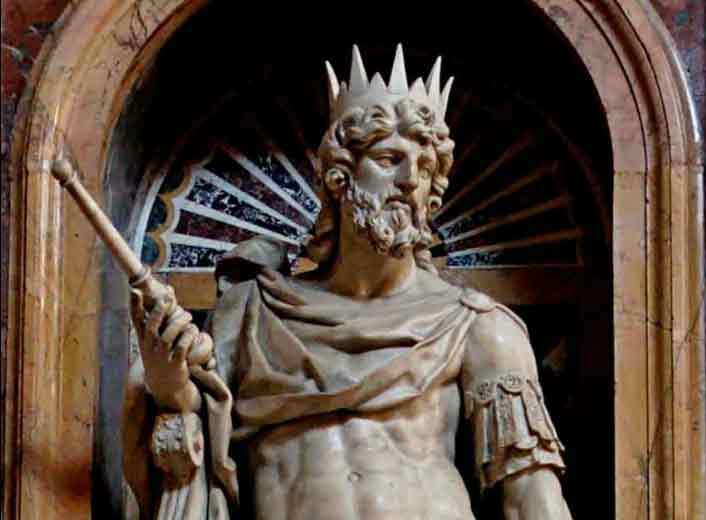 The Jews then found themselves face to face with the Amorite King Sihon. 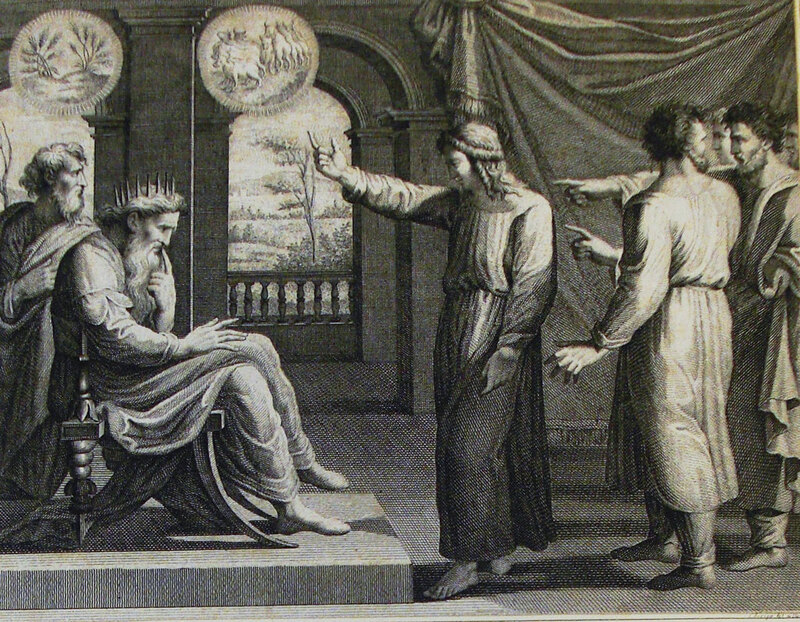 Moses sent messengers to the King with a request to permit the Israelites to travel through his country. Moses assured him that the Israelites would walk through the kingdom, keeping to the main roads. All they wanted was a path taking them to their destination. They had no reason to bother the local citizens in any case. He assured the king also that they would buy the food and water needed and should they inadvertently cause any damage, they would compensate the locals for it. But Sihon not only rejected the earnest plea from Moses but also tried to stop the Jews with the might of his entire army. The Jews were left with no other alternative but to go to war with the Amorite army. 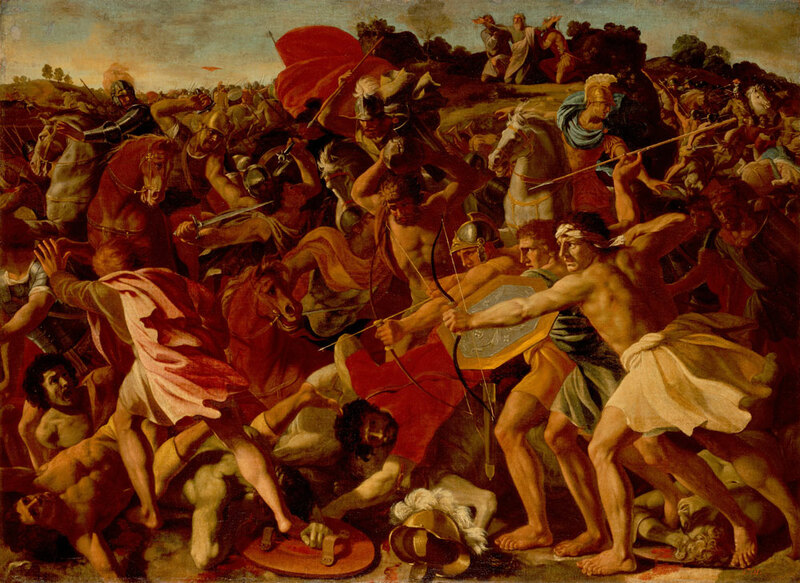 The Israelites defeated the forces of King Sihon and captured his entire kingdom following which the King Og of Bashan faced the same fate and the Jews conquered Bashan too. With every step the Jews were inching closer to Canaan. Both these kingdoms had vast green meadows and thus were ideal for animal rearing and pasturage. Hence out of the ‘Twelve Tribes of Israel’, the chieftains of the Reuben and Gad tribes, which owned the largest of the flocks, asked Moses if the land could be given to them for settling down. Annoyed at that, Moses rebuked them. “Do you intend to sit back and enjoy a peaceful and secure life while the other Israelites fight the enemy to win Canaan?” He asked. “Not at all!” they assured. “We will fight shoulder to shoulder with all the Israelites. We promise not to set foot on that land until we achieve what we have set out to!” They said, giving their word asking only if their families and flocks could be allowed to stay back in that land. Moses then gave in to this request and permitted the two leading fighter tribes among the Israelites to keep the land. The leaders too on their part, kept the word they had given to Moses. The news of the defeat of King Sihon and of King Og gave the jitters to the rulers of both Moab and Midian, the neighbouring kingdoms. The mutual enmity of these kingdoms dated back to generations but faced with the Jews, their common enemy, they felt it wise to join forces and come together. By hook or by crook, they were determined to fight the Jews. They even resorted to sorcery, so says the story. But the expert sorcerer whom they had employed, very clearly told the kings that the Jews were protected by God and hence he was helpless. But he advised them to use ‘other’ means like luring the Jews with vices, women, etc. and trap them with deceit. 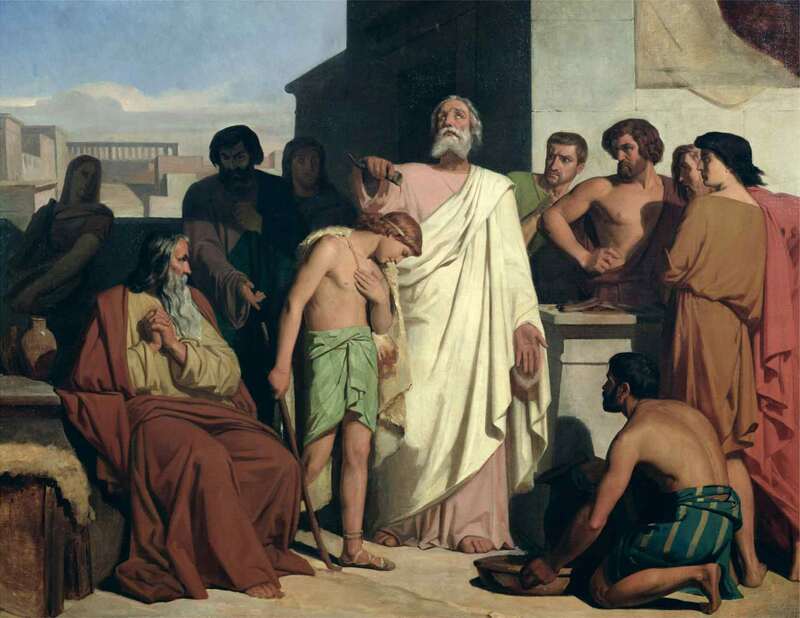 Some Jews did fall prey to these traps but Eleazar’s son, Phinehas who eventually went on to become the third High Priest of the Israelites following his grandfather Aaron and father Eleazar, executed an Israelite man who was found to be prominently involved in this conspiracy. It was this act of Phinehas that instilled dread in the Jews and saved them from any further moral degradation. The treachery however, invited God’s fury and He commanded Moses to declare war against the two kingdoms. Moses’s army annihilated the kings, princes, armies and also the sorcerer and won their kingdoms. 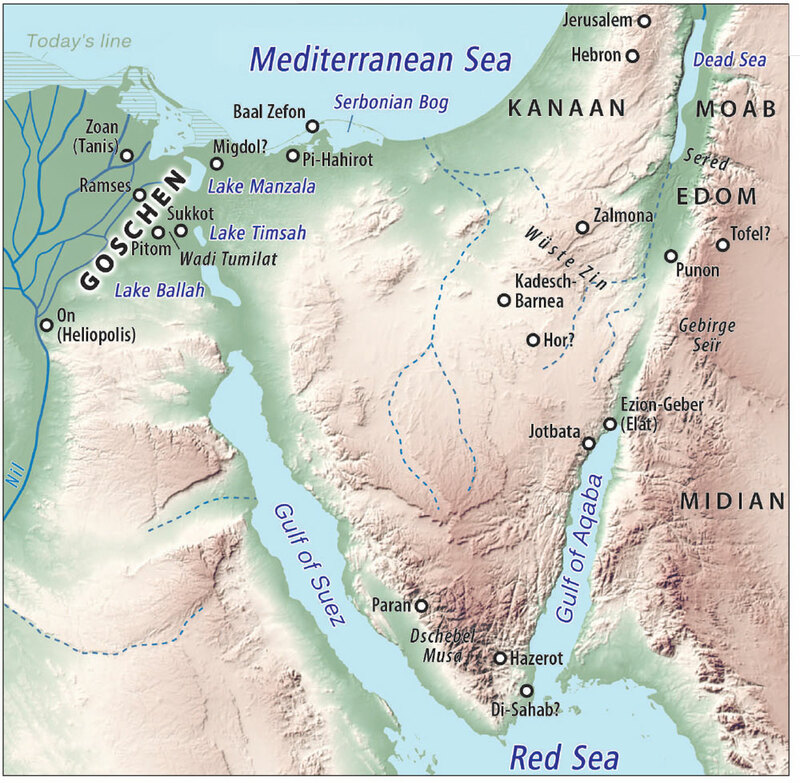 The Israelites were now at the border of Jordan. Not far from here began the ‘Promised Land’. Here God ordered the headcount of the Israelites and yet again the males who were above 20-years of age numbered six hundred thousand. Apart from them there were their families. But over the forty years that the Jews wandered the desert, the entire generation of those, who had no trust in God had passed away with age. 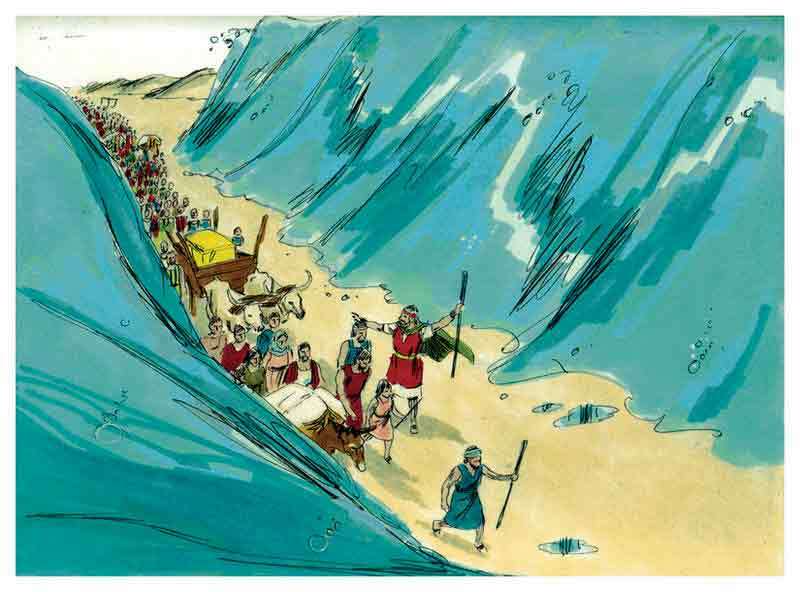 ….and now it was Moses’s turn! God summoned Moses on the mountain of Abarim and told him to glance over the land of Canaan, the expanse of which stretched around him in all directions. 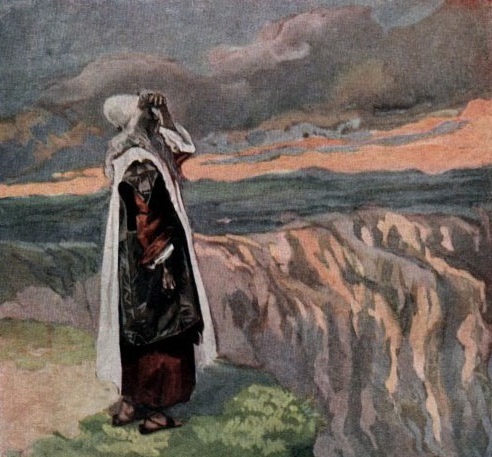 Moses gazed at the ‘Promised Land’, the land to which, for forty long years he had longed to take the Jews! ; He kept gazing at it to his heart’s content. He knew that he was not going to be able to set foot on the soil of the ‘Promised Land’. Tears welled up out of his eyes. But he had accepted the mistake that he had committed and also the punishment that God meted out to him. He then asked God who his successor was going to be. God took the name of Joshua, a close confidant and a trusted aide of Moses who He said, would lead the Israelites into Canaan; God had appointed Joshua. After years of receiving divine grace, Moses naturally possessed some super human powers. God asked him to pass them on to Joshua in the presence of the High Priest Eleazar. Without any reservations Moses performed the required ritual that was ordered by God. God indicated to Moses that his end was near and so Moses for the last time, explained the entire ‘Torah’ to the Israelites and asked them to always abide by it. 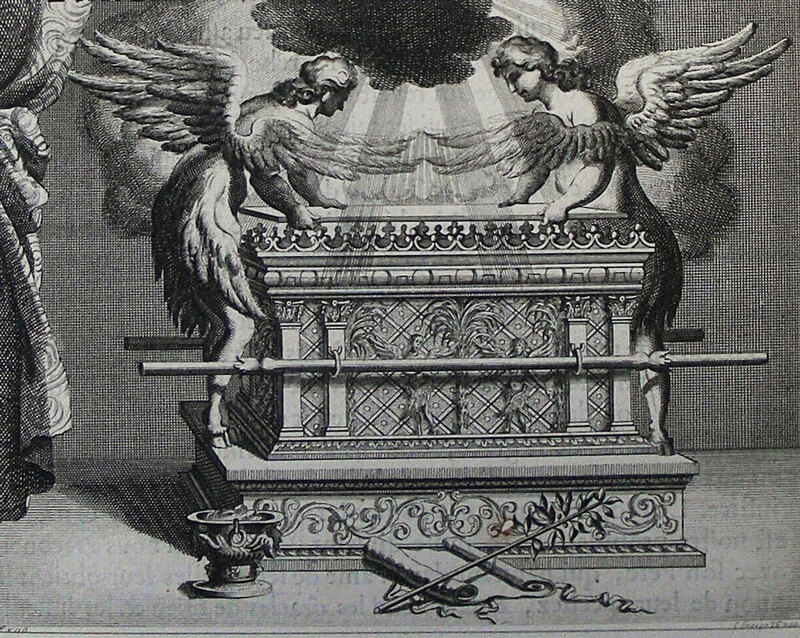 During the period Moses wrote five volumes of the ‘Torah’ which were respectfully kept alongside the two stone tablets of the ‘Ten Commandments’ in the ‘Ark of the Covenant’ that was specially built for it. Then, addressing the Israelites, Moses shed light on the prevailing situation. He candidly admitted his mistake. Reproaching them for their mistrust in God, which they exhibited time and again, he warned them about never turning away from God. The Jews were overwhelmed and many were moved to tears. Moses’s time had come. God instructed him to ascend Mount Nebo. For one last time Moses moved his glance over the ‘Promised Land’ and it was fully contented that he left the world. The Bible talks of God Himself carrying his soul to heaven. 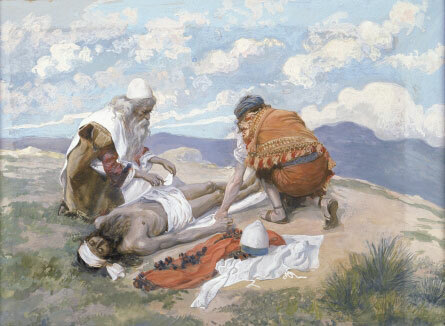 Moses was 120 at the time of his death.